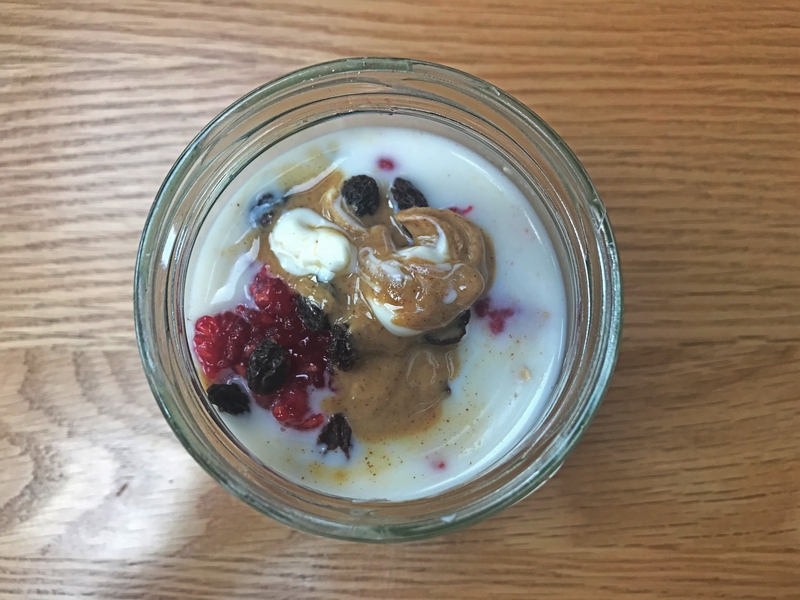 Pink Peanut Butter Overnight Oats – the harriella project. The caffeine-fuelled ramblings of a 23 year-old book-nerd who still can't do a messy bun. I’m completely addicted to this breakfast, so I think it would be unfair of me not to share the recipe with the world. It’s so simple but so good, and you just need a few ingredients and five minutes in the evening to get it prepared. 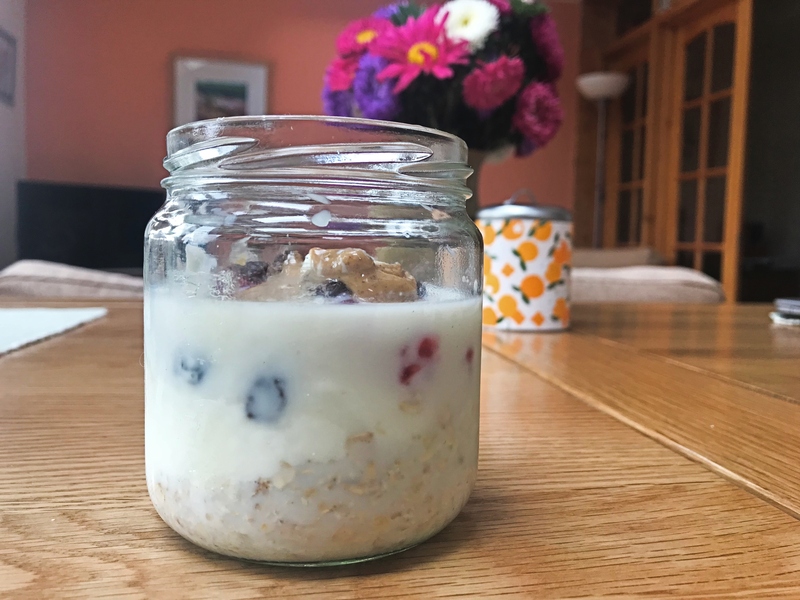 Simply mix the oats, yoghurt, milk, peanut butter, and raisins together in a jar or tupperware. 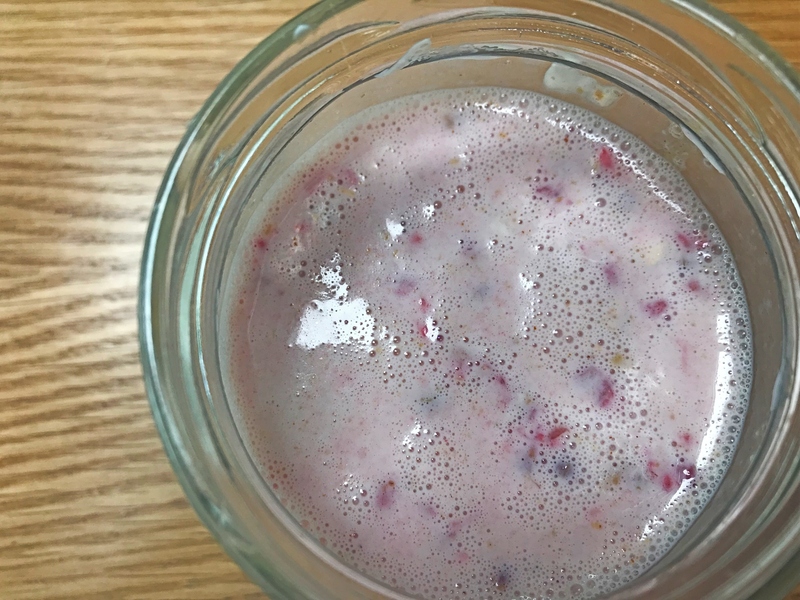 In a separate bowl, use a fork to mash up the raspberries, then stir them into the oat mixture until it turns pink. Leave overnight to soak. 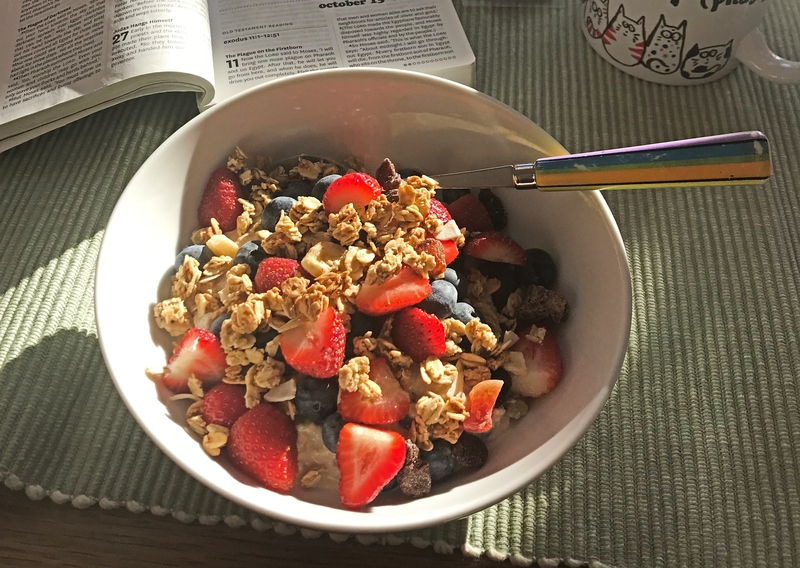 In the morning, transfer the oats to a bowl and top with any fruit you fancy, granola, and, if you’re obsessed like me, maybe some more peanut butter! If you'd like to receive updates straight to your inbox, enter your address below. You (probably) won't regret it. © 2019 the harriella project.